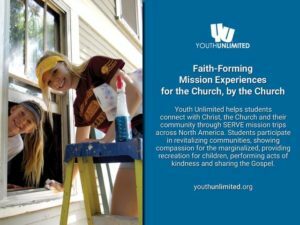 Support Youth Unlimited’s SERVE student mission trips: Youth Unlimited provides opportunities for students to connect with Christ, the Church and their community through the creation and implementation of SERVE mission trips across North America. Students on SERVE mission trips participate in revitalizing communities, showing compassion for the marginalized, providing recreation for children, performing acts of kindness and sharing the Gospel. Ultimately, SERVE is about connecting students with God and a local congregation in the renewal of all things. SERVE is not just a week-long trip. It’s about transformation that lasts a lifetime! Please consider supporting Youth Unlimited. Learn more at youthunlimited.org. 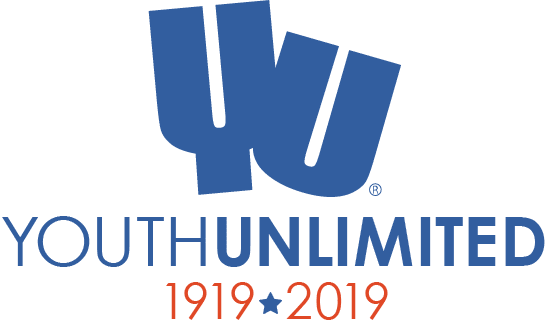 Youth Unlimited is a member of the Evangelical Council for Financial Accountability (ECFA) in the United States, an associate member of the Canadian Council of Christian Charities (CCCC) in Canada, and an Accredited Member of the Standards of Excellence in Short-Term Mission (SOE). If you have any questions or concerns, please feel free to contact us and we’ll be happy to help!